This is good news for Indian CDMA subscribers, according to report in Wall Street Journal, Apple is in talks with two Indian telecom operators about launching a CDMA version of the iPhone in India. Tata Teleservices and Reliance seems to be in talk with Apple for past few months for launching CDMA based iPhone in India. Incidentally, both these private players have highest CDMA users amongst the private players. 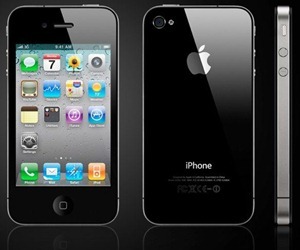 GSM based Apple iPhone 3Gs is already available with Bharti Airtel and Vodafone in India. However, given the sky-high prices of iPhone, I doubt there will be too many takers for CDMA iPhones. Most of the CDMA users are price conscious customers as CDMA rates are comparatively lower than GSM offerings. November 5th 2010 – That is the date when Tata Docomo plans to launch its 3G services on eve of Diwali. It will become the first private player to launch 3G services in India. BSNL, the government operator has been offering 3G services for sometime now. Although, it was expected that Telecom Operator would roll out 3G services in phased manner – Tata has surprised all with decision to launch it simultaneously in all nine service areas. Tata Teleservices will definitely cash on the first mover’s advantage over other 3G bid winning private operators. Overcharging customers seems to have become a norm – I am myself surprised receiving my mobile bills and complaints to the Telecom Operator go un-noticed. To curb this practice – TRAI has taken a stern action by inviting an expression of interest (EOI) from accredited auditing agencies to check metering and billing accuracy as mandated under quality of service regulations. The metering and billing systems of all cell phone operators, will now be scanned with the help of independent technical auditing experts and firms. I really hope this audit is executed properly – I am sure Audit will bring out some startling facts about customer billing ! Indian Mobile Handset Brand, Olive Mobiles is one of the first telecom companies who have started selling their handsets online. The New Online shopping portal launched by Olive Telecom will have full range of Olive products. Olive Telecom was one of the first Indian companies to launch a Tablet in India – The Olivepad, which is currently listed online and can be pre-ordered for Rs. 25,990/-. The shipping for same will be start on October 25th.